Is Shade 535 (Chocolate Caramel) right for you? 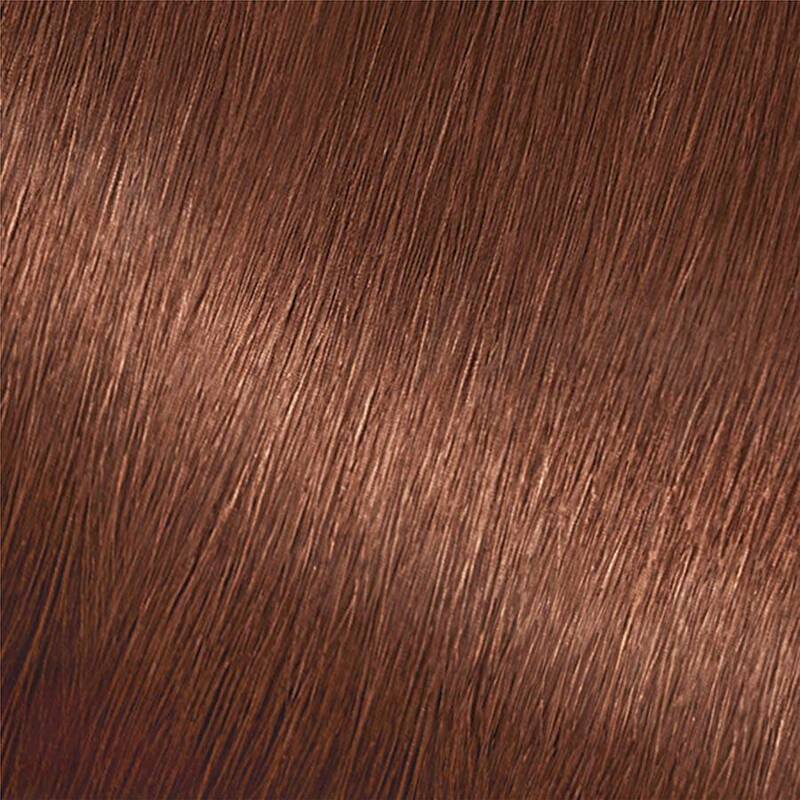 Garnier Nutrisse Medium Golden Mahogany Brown 535 (Chocolate Caramel) is a medium brown shade with both golden tones and red reflects to create a rich, warm result. Shade 535 (Chocolate Caramel) provides 100% gray coverage and is best for anyone with natural hair between light brown and black. If you prefer a similar tone but one shade darker, try 434 (Chocolate Chestnut) or 452 (Chocolate Cherry). If you prefer to stay in the medium brown range but would like to explore other reflects and tones, there are many shades to choose from including 50, 51, 53, 54, and 56. *For women with currently color treated hair, there are special considerations for the color result you can achieve. Because of this, we do not recommend shade 535 for hair that has been previously colored Darkest Brown 30 (Sweet Cola) or darker. For more help, use our Shade Selector Tool to find the perfect shade for you! Nutrisse Colorant: Aqua/Water, Cetearyl Alcohol, Propylene Glycol, Deceth-3, Laureth-12, Ammonium Hydroxide, Oleth-30, Lauric Acid, Hexadimethrine Chloride, Glycol Distearate, Polyquaternium-22, Ethanolamine, Silica Dimethyl Silylate, Ci 77891/Titanium Dioxide, P-Aminophenol, M-Aminophenol, 2-Amino-3-Hydroxypyridine, Ascorbic Acid, Sodium Metabisulfite, 2-Methylresorcinol, 2-Methyl-5-Hydroxyethylaminophenol, Dimethicone, Pentasodium Penetate, P-Phenylenediamine, Parfum/Fragrance, Carbomer, Resorcinol, Vitis Vinifera Seed Oil/Grape Seed Oil. F.I.L. D35196/4. Fruit Oil Concentrate: Paraffinum Liquidum/Mineral Oil/Huile Minerale, Vitis Vinifera Seed Oil/Grape Seed Oil, Parfum/Fragrance, Tocopherol, Rosmarinus Officinalsis (Rosemary) Extract. F.I.L. D25829/5. 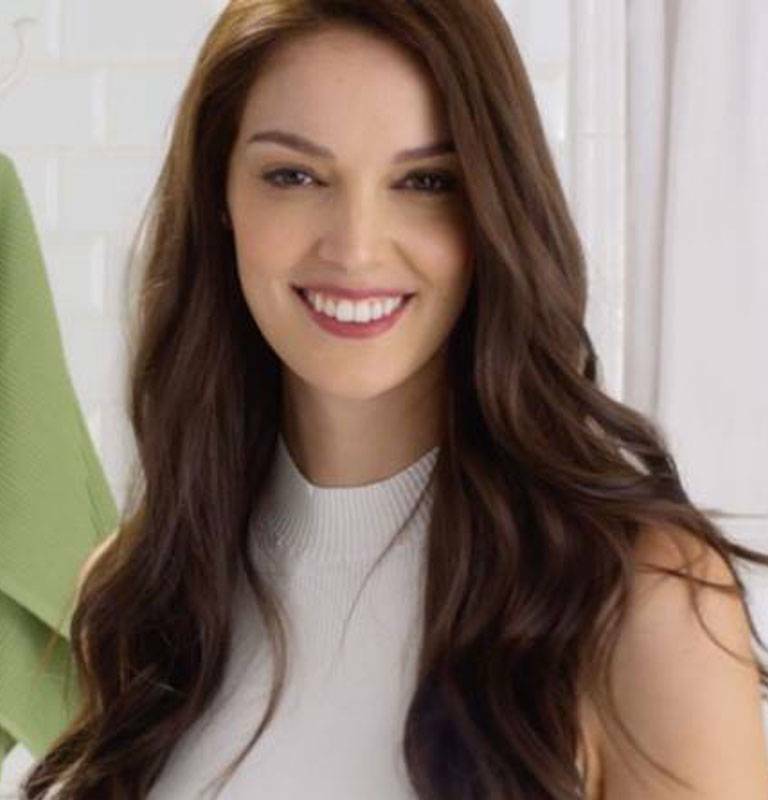 Rinse-Out Conditioner: Aqua/Water/Eau, Cetaryl Alcohol, Elaeis Guineenis Oil/Palm Oil, Behentrimonium Chloride, Pyrus Malus Extract/Apple Fruit Extract, Glycerin Parfum/Fragrance, Stearamidopropyl Dimethylamine, Niacinamide, Pyridoxine HCI, Butyrospermum Parkii Butter/Shea Butter, Citric Acid, Olea Europaea Oil/Olive Fruit Oil, Saccharum Officinarum Extract/Sugar Cane Extract/Extrait De Canne A Sucre, Benzyl Alcohol, Chlorhexidine Dihydrochloride, Persea Gratissima Oil/Avocado Oil, Ribes Nigrum Oil/Black Currant Seed Oil, Linalool, Citric Medica Limonum Peel Extract/Lemon Peel Extract, Ci 19140/Yellow 5, Camellia Sinesis Extract/Camellia Sinesis Leaf Extract, Ci 15985/Yellow 6. F.I.L. D35637/3. Nutrisse Developer Ingredients: Aqua/Water, Hydrogen Peroxide, Cetearyl Alcohol, Trideceth-2 Carboxamide Mea, Ceteareth-35, Glycerin, Pentasodium Pentetate, Sodium Stannate, Tetrasodium Pyrophosphate, Phosphoric Acid. F.I.L. D12836/26. Rated 3 out of 5 by vsully from Recent change in formula for #535? Dear Garnier, I have been using #535 for years now and I have never been disappointed until this last application. My hair came out way more coppery/red than usual even though I did leave it on longer because I noticed that my root were not getting darker like usual. And it did not cover my grays like usual. Not sure if it was a bad batch. Even my husband noticed how light and redder my hair came out and he usually never says anything! If it helps I bought my 2 boxes at a Walgreens in Boston last week. Rated 5 out of 5 by ShhhSMW from 535 .. My secret for years (natural auburn shade) I have used this shade for several years and it lasts for six weeks for my gray coverage. I am always complimented on my hair color. I am a natural medium brown/chestnut... not too red. This shade gives my hair a subtle red boost with zero damage. Smells great... I love it! Please don’t ever discontinue! Rated 5 out of 5 by ladyuna44 from My favorite shade! I just colored my hair and this is my favorite garnier shade that I've ever tried. I had been using 64, but it was really too light for my natural brown. I used 53 for many years, which is also a nice golden brown shade, but 535 added such a nice red tone without being too overpowering. My hair soaked up the color really well, and it covered all of my grays. It's darker than what's shown on the box, but I really like how it looks with my fair skin tone. I'm not sure how much lighter it'll be after I wash it, but I'd definitely recommend this color! Rated 5 out of 5 by Sue109 from Love This Color & It Lasts I have been using this color for years now and love the results, especially when I first use it. There are highlights of red in it and my hair looks great and I get a lot of compliments at work. My normal hair color, shy of the grey showing up, is dark brown. This brightens up the dark brown to make me look younger. Thanks for the great color. I use to wash my hair daily but it got too dry, now I was it every other day and normally I can get 6 to 8 weeks out of this hair coloring before I have to do it again. Rated 5 out of 5 by Rose444 from Great Color and last long ! I have always used the foam color products with poor results. I thought why not try Garnier 535 it looked like the color I had been born with. Love the results, not to dark and not too light. I have hard to color gray and this product covered the gray wonderfully !!!! Rated 1 out of 5 by Neesiepoo17 from Terrible Very unhappy.....WAY more red than the pic shows. Unfortunately I cant find a 50 they say to try to take it down. Wasted my money - and as a single mom, splurging on my hair is a luxury. Rated 1 out of 5 by Judyk from No the color intended. I just colored my hair with this color and got shocking results! My hair looks just like I colored it with R2 medium intense auburn. There is no brown whatsoever in this color. My natural color is as close to this shade (as shown) as I can get to #535. Please help. What brown color can I use on top of this and how long should I wait? Rated 5 out of 5 by Brisaleve from This the natural color of my soul I really love this color. My hair is dark blonde and i've been using this color for 5 years. Everybody ask me if it's my natural color because it looks like a real auburn.